Humans have been perfecting the science of alcohol production for ten thousand years, but modern scientists are only just beginning to distill the complex reactions behind the perfect buzz. In a spirited tour across continents and cultures, Adam Rogers puts our alcoholic history under the microscope, from our ancestors’ accidental discovery of fermented drinks to the cutting-edge laboratory research that proves why—or even if—people actually like the stuff. From fermentation to distillation to aging, Proof offers a unique glimpse inside the barrels, stills, tanks, and casks that produce iconic drinks. Rogers ventures from the whiskey-making mecca of the Scottish Highlands to the most sophisticated gene-sequencing labs in the world—and to more than one bar—introducing us to the motley characters and evolving science behind the latest developments in boozy technology. He uncovers alcohol’s deepest mysteries, chasing the physics, molecular biology, organic chemistry, and even metallurgy that power alcohol production, and the subtle mixture of psychology and neurobiology that fuels our taste for those products. 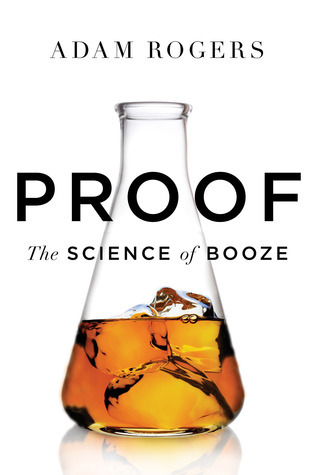 With intoxicating enthusiasm, Rogers reveals alcohol as a miracle of science. If you’ve ever wondered how exactly your drink of choice arrived in your glass, or exactly what will happen to you once you empty it, Proof makes an unparalleled drinking companion. Let's take some books and build a library! Would you like some phobia with that book? Which [book of choice] character are you?